Great mouse. Right handed, but have some carpal tunnel issues, so learned how to mouse with left hand. This is easy to use and comfortable. 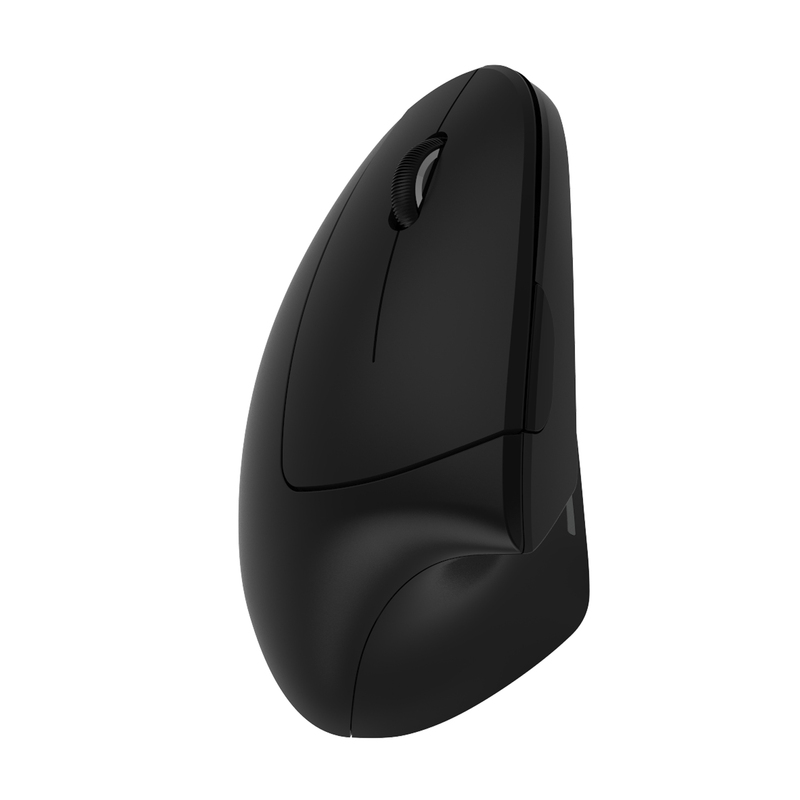 I bought this mouse because of my tennis elbow. Ive had 3 injections and lots of therapy with no permanent relief. Quitting work wasn’t an option. 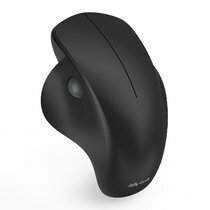 What could it hurt to try this mouse option?. Ends up it actually is working to relieve the pain in my elbow. With the slight rotation outward, my tendon isn’t pulled all day while working on the computer. There is also a handy button in the thumb pad that lets you go backward and forward pages instead of hunting for the arrows on the pages. Just a click of the thumb. Great purchase! I highly recommend this little guy. It's very unusual. Still trying to get used to it. It takes a while to get used to, but its a great product for the price. A little smaller than I thought it would be but still has a nice feel to it. So far loving this mouse, especially the quiet click feature. Seems to be helping with the wrist pain I was experiencing. Definitely satisfied this far. This is my second Jelly Comb product and I'm impressed with both (I also have the tablet/phone Bluetooth keyboard). 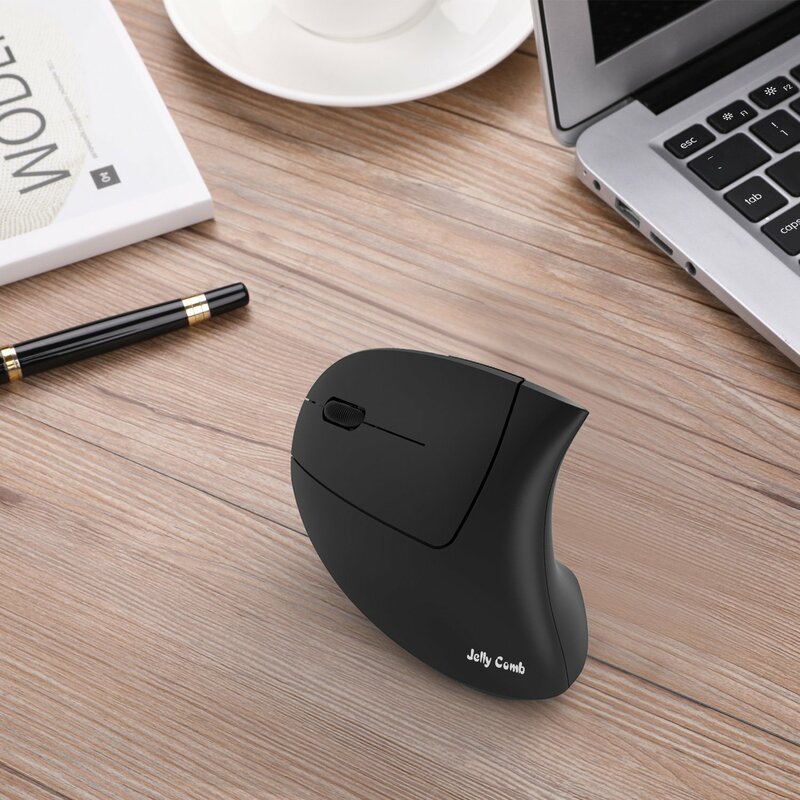 This wireless vertical mouse is quiet, comfortable and responsive. I plugged in the USB and it connected quickly. I went to the mouse page on my computer, set the click speed and scroll speed as I wanted and so far, I love it. Takes much less scrolling room than the regular mouse. Don't expect to hear an audible click when depressing the right and left buttons because it is very quiet. This is designed to be a more ergonomically designed mouse and it feel very comfortable in the hand and on the wrist. I'm impressed! It takes one AA battery and that is NOT included so make sure you have one. Also, I do not have particularly small or large hands. This is normal sized for me.